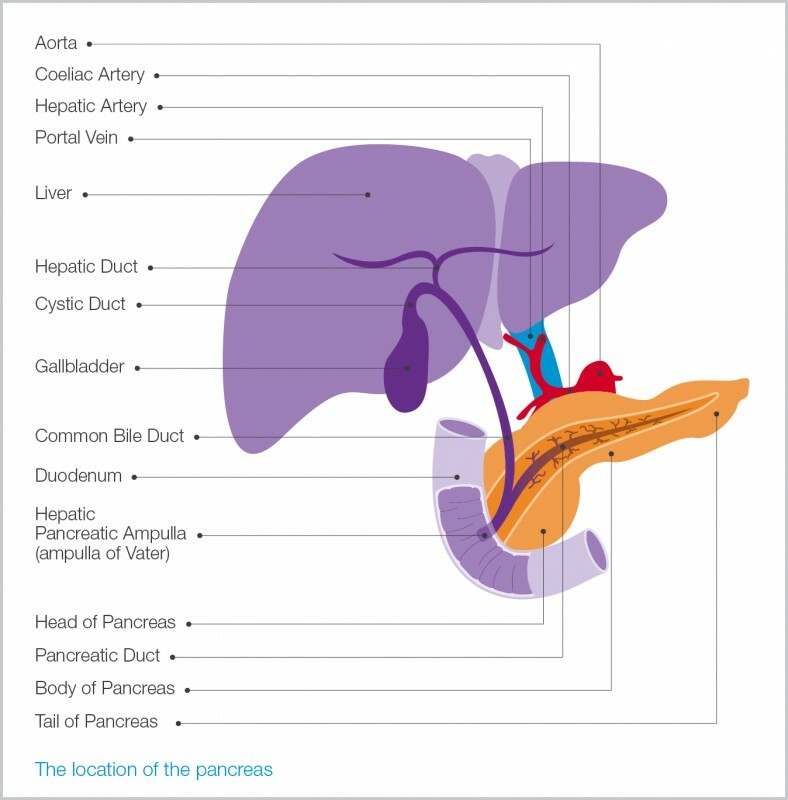 Jaundice in pancreatic cancer is often painless. Obstructive jaundice is a condition caused by a blockage in the bile duct. The bile duct is a channel that carries bile from the liver to the duodenum (part of the small intestine). The blockage causes bile to be retained in the body and this makes the skin and whites of the eyes become yellow. The urine also becomes dark and the stools (bowel motions) are pale. 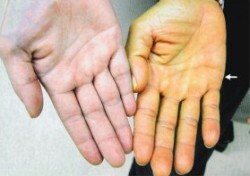 Jaundice can develop very quickly but can take several weeks to disappear completely. When you are jaundiced you will feel very tired and lethargic. Your appetite will be affected and you may have symptoms such as indigestion and bloating after meals. You may also feel your skin is very itchy. The itch is difficult to treat and may not be relieved until the jaundice settles. Click to read more about itchy skin caused by Jaundice. Jaundice may be treated by removing the tumour, by performing a bypass operation to allow the bile to drain into the intestine through a new opening in the bile duct above the blockage, or your doctor may be able to use a stent to relieve the blockage so the bile can flow into the small bowel again. Click to read more about treating jaundice.